Platinum Tools 18007 SealSmart Compression F-Connectors for RG59 Cable - Red, 10pc. 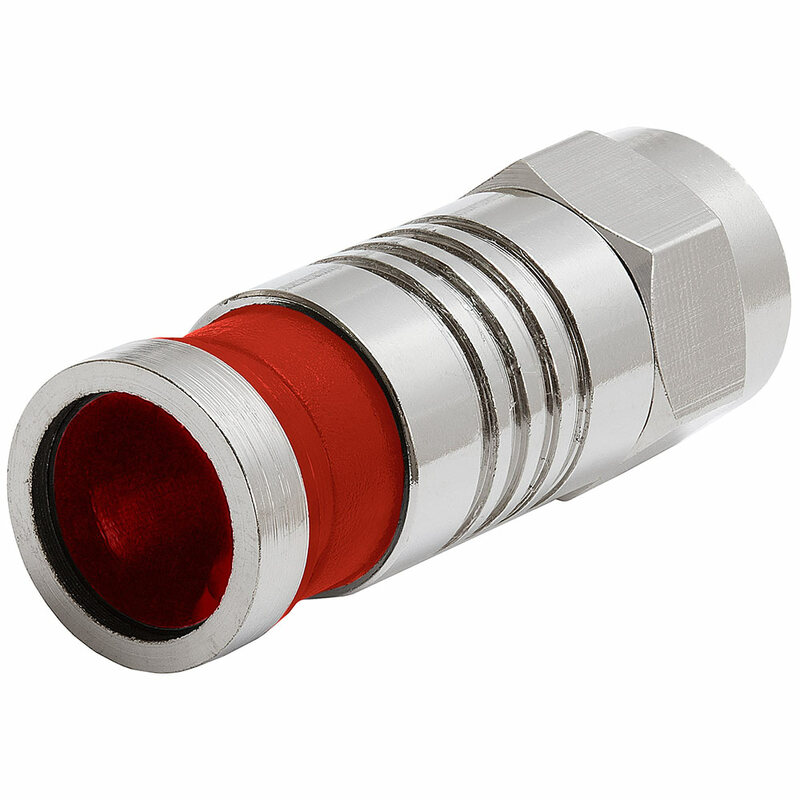 Platinum Tools' Seal-Smart Compression Connectors provide simple, fast and reliable terminations. The perfect solution V, DSS, Security, Home Theatre and Residential structured wiring installations. 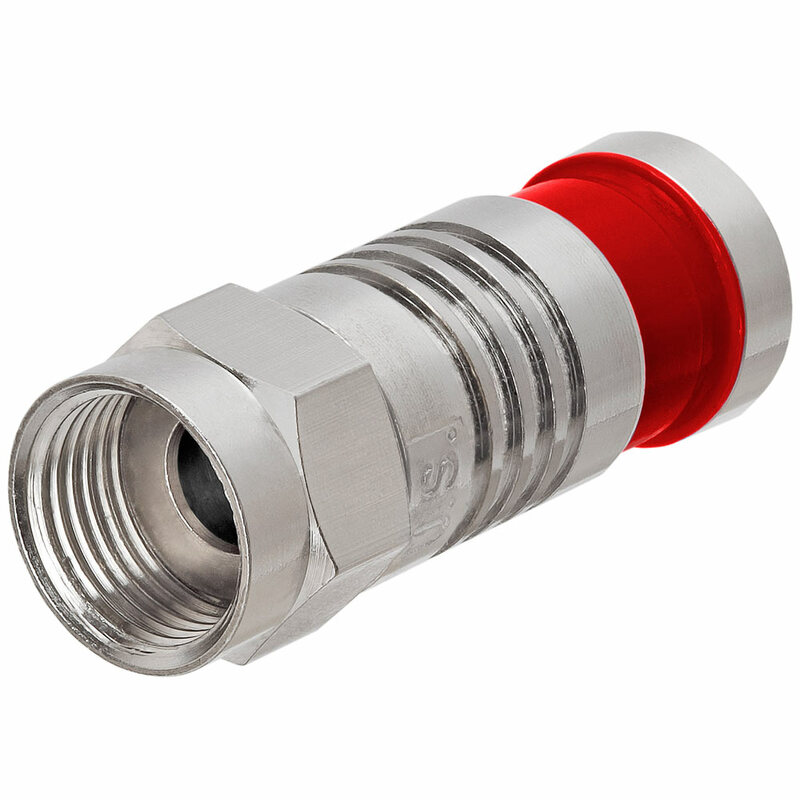 Molded in gasket provides a weather tight seal. Ideal for CATV, DSS, Security, Home Threatre, and Wiring Installations.